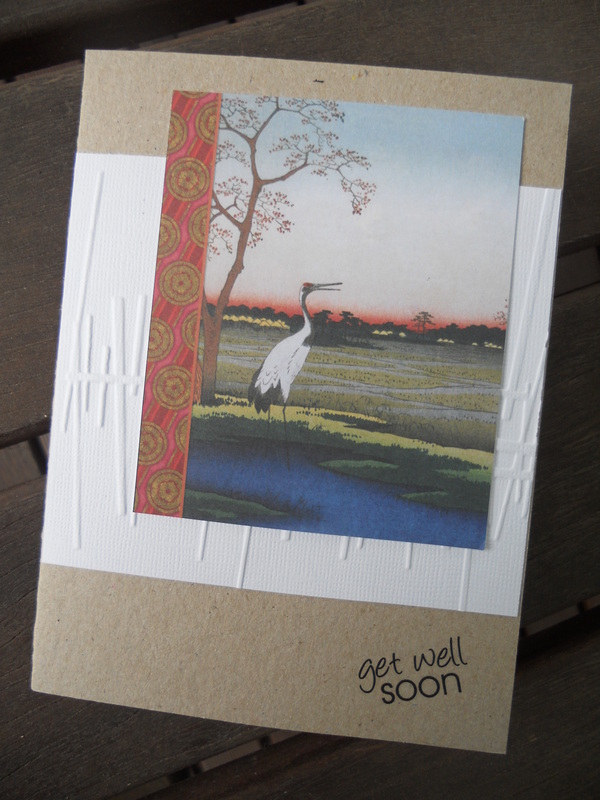 A Get Well Card for Colin Brown after surgery. The picture is one of those free postcards you can get anywhere in Melbourne that advertises businesses. I normally pick these up from cinemas, food courts or shopping centres. Its great to recycle! The base card is natural card stock. White card stock is embossed. Rub-on is from my stash.